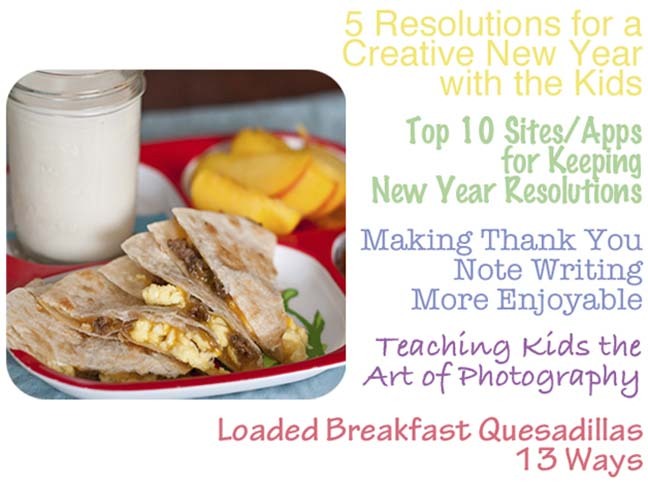 These 5 resolutions for a creative new year are all great ways to spark your kids’ imaginations in 2012. My favorite involves the phrase “We’re going on a mystery trip tomorrow”. How exciting is that?! Speaking of resolutions, if you’re determined to keep yours this year then you really must check out this list. Love these four simple tips for making thank you note writing (a task we all dread) more fun for kids. Looking for a stimulating new activity for the kids? How about photography? With a little helpful guidance, they can start earlier than you’d think. Finally, this is an inspiring (and well-rounded) list for starting each day out right.